The Belgian-Dutch driver Max Verstappen was the talk of the town of the season as he ensured Red Bull was on its home track to achieve Formula One Austrian Grand Prix in 1st July 2018. It was the 4th time he showed his brilliant performance. The 21 year old who is mostly known for his aggressive racing style, had a tough beginning of the season. 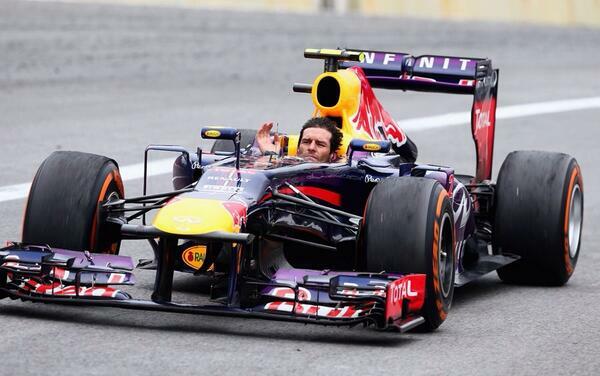 However, after the Canadian Grand Prix, he drove with the right control and perfection in all his races. Lewis Hamilton was the fastest from the beginning and lost his lead this time. He was one point below Vettel. Verstappen made best use of misfortunes faced by Mercedes and took his first lap. Soon after, he did manage the show well by measuring the pace and was ahead of Sebastian Vettel and Kimi Raikkonen. Managing the tire at the end was most crucial as per Verstappen. It was indeed a special moment when he won in front of his supporters. Life is not easy as there are difficult times, but if you continue to work hard, you can overcome any situation. These were the words expressed by Verstappen. Ferrari blaming Verstappen for crashing their F1 cars has led to a brutal remark from ex-Red Bull driver, Mark Webber. The first wet Formula One Singapore Grand Prix in history started with a bang. Max Verstappen’s Red Bull car became the filling in a messy Ferrari sandwich at the start of Sunday’s race. Whoever handled Ferrari’s twitter account tried to place the blame on Max only to get put right in his place by ex-Red Bull F1 driver Mark Webber. 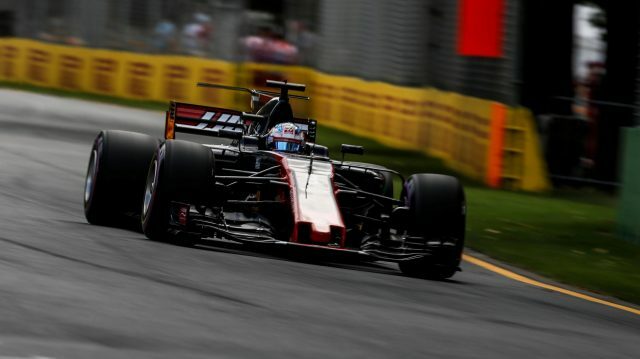 The boss of Hass Formula 1 Gunther Steiner says the top three teams enjoy a significant advantage that he does not expect to change this year. He wants a change but adds that it would not happen anytime soon. The pre-season test witnessed the top sides Ferrari, Mercedes and Red Bull ahead of the rest of the pack. The same thing happened in the opening races so far. “The midfield teams are pretty close together, but yes, there is a significant gap to the big three. The big teams, especially Mercedes and Ferrari, I think Red Bull is a bit behind, are pretty much ahead of the rest. Will that change? I hope so, but my fear is that it will stay that way for the whole season,” he said, expressing concern. TOST BELIEVES THAT FORMULA 1 SHOULD HAVE eRACES. Toro Rosso team principal, Franz Tost believes Formula 1 should introduce eRaces on the Sunday morning of grand prix weekends. The need for F1 to improve the show has been in motion for long; some success has been recorded, for example the 2016’s controversial revamped qualifying format and subsequent U-turn. Tost strongly believes some similar initiatives should be included into the Sunday schedules to increase interest in F1 and attract a wider audience. Nick Heidfield has been part of the Formula E team of Mahindra in India. He and Bruno Senna had been signed on for season two for Force India. They had finished fifth for the second season. The line-up of drivers for the upcoming season remains to be confirmed. For the first practice of the session in preparations of the Grand Prix on Sunday at Abu Dhabi, Lewis Hamilton, Mercedes AMG Petronas Formula One Team driver came out tops, thus laying down a marker. NicoRosberg, also fellow Mercedes team mate and rival for the championship title came in nextwith just four tenths behind Hamilton, thus giving both drivers early moments in preparation for the title decider on Sunday. To take the top spot, Hamilton set a time record of 1:42.869 and a car that seems to be better suited for the race conditions so far. Max Verstappen and fellow Red Bull team mate, Daniel Ricciardo came in next, setting almost identical times, with Verstappen piping Ricciardo by about seven hundredths of a second. There have been certain rule changes that have been incorporated by F1. Based on these changes Fernando has asked for more consistency in certain matters. The Spaniard feels that the changes that are being proposed will make it hard for the fans that follow the different racing events. Alonso made the call after more changes were brought in ahead of the last German Grand Prix event. What do fans look forward at the races?